How Many Polacks Does it Take to Deny the Holocaust? The Polish government wanted to mark the occasion of the International Holocaust Remembrance Day in January 2018. After all, it was in Poland that loss of Jewish life was the greatest of any country in the world. The new popular right-wing party in charge, the Poland Law and Justice Party (PiSS), decided to put forward a multi-prong approach, similar to its retreat from Germany in 1939. PiSS established several committees, including one to address the Polish educational system, one for the press and another for tourism. PiSS tasked each group with finding a new approach to commemorate the horrors that took place in the country during World War II. The educational team hatched a novel idea that all students should be taught that the Polish people in Word War II were the only victims of Nazi atrocities and that no Poles participated in the rounding up and killing of Jews. It advised that the term “Polish Death Camps” should become illegal, and that the country should demand that all concentration camps be solely associated with Nazi Germany. 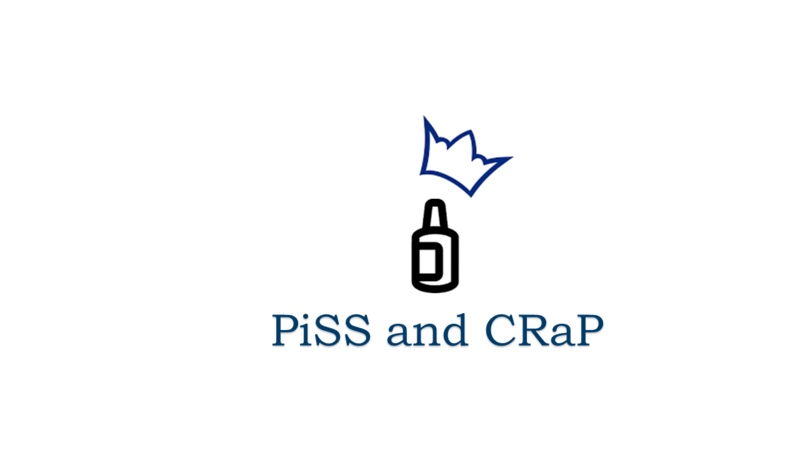 The PiSS parliament enthusiastically passed the proposal. It made the usage of the phrase punishable by up to three years in prison. The educational team was elated and quickly went to work. A team of 400 people went into the libraries and book stores across the country and began to scour the contents for any mention of the phrase “Polish Death Camps.” Armed with white-out and scissors, the team seized upon the work like a German Shepherd on a fraulein in heat. They shouted “Arbeit Macht Frei” as they attempted to complete the cleanse by Labor Day on May 1. The press team waited until parliament approved the Complicity Removal Proclamation, “CRaP,” as it was known within the halls of PiSS, to announce its contribution to Holocaust Remembrance Day. In addition to promoting the efforts put in place by the educational committee, the Holocaust press team developed a mascot for the public radio and TV broadcasters that was consistent with Poland’s new clean history: a bottle of white out capped with a crown. All in all, the PiSS government estimates that the new initiatives will employ a total of 3,000 Polaks, a tribute to the estimated 3 million Jewish citizens of Poland that were killed in the Holocaust. The Polish efforts were extensive. And many countries and organizations have taken notice. Just last night, the US Olympic Committee demanded that any story that mentions the infamous doctor Larry Nassar who abused the USA Women’s Team gymnasts for years, may no longer say that he worked for the “USA Olympic team,” as it considers that the Olympic Committee was itself a victim of the attacks too. The most common form of denial is that the Holocaust did not happen. The entire event is described as a fabrication. The religious leader of the Islamic Republic of Iran said “the Holocaust is an event whose reality is uncertain and if it has happened, it’s uncertain how it has happened.” The Iranian government then went on to promote a Holocaust cartoon competition. The third form of denial is not commonly sold: It is that Jewish Zionists actively helped kill the Jews of Europe. Never heard of that one? It is advanced by the acting-President of the Palestinian Authority, Mahmoud Abbas. Abbas wrote his doctoral thesis about an evil Holocaust plot that Zionists were desperate to attract more Jews to Palestine during the 1930s and 1940s. In order to encourage immigration to Palestine from Europe, Zionist Jews collaborated with the leaders of Nazi Germany to make life unbearable for Jews so that they would flee to Palestine. 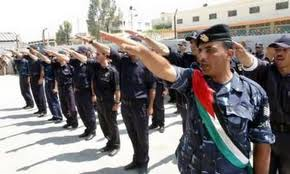 Abbas claimed that Zionists collaborated with the Nazis and sabotaged Jewish rescue operations. This was Abbas’s doctoral thesis, written over many years. A new form of Holocaust denial with malevolent messages. The Abbas Holocaust denial takes a very different tack than the classic forms of questioning the scale of the destruction of European Jewry. Abbas does not focus on the number of Jews killed. His argument is that the Zionist Jews were schemers. His sick form of denial was that Jews always controlled their own fate, even in the Holocaust. The Holocaust was a story of Zionist Jews against European Jews. 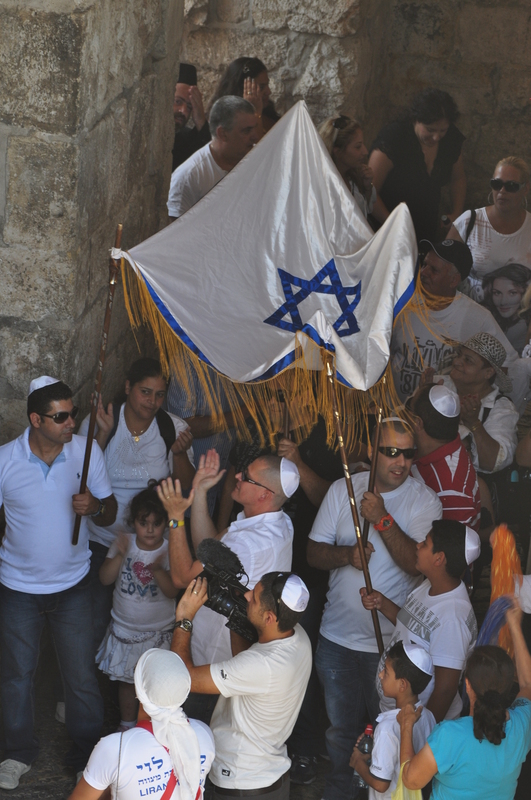 In Abbas’s worldview, Jews had no love or attachment to the Holy Land. They were content with where they lived; they had no connection to Palestine. Most Jews had no interest of ever moving to Palestine. However, a handful of Zionist Jews needed to force European Jews to move in great numbers to make the Jewish State viable. These Zionist Jews were so hell-bent on their mission, that they thought nothing of instigating the destruction of European Jews to achieve their mission. According to Abbas, if Zionists could perpetuate the slaughter of their own Jewish brethren, why should anyone be surprised of their treatment of Arabs? The Zionist Jews were so selfishly consumed by their mission to create a foreign transplant of a Jewish State in the Arab soil of Palestine, that the killing and expulsion of Arabs from the land in the “Nakba” looked like an after-thought after their participation in the annihilation of fellow Jews. Mahmoud Abbas has spent his lifetime with a particularly noxious form of Holocaust denial which he has peddled at the United Nations and capitals around the world: The Jewish Zionists are schemers and murderers. They have no connection to the land of Palestine and think nothing of killing Jew or Arab to steal a country. 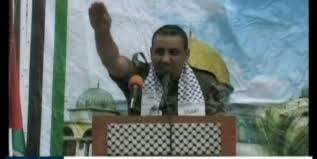 With such a leader, is it any surprise that the Palestinian Arabs are the most anti-Semitic people in the world? One of the basic laws established on December 10, 1948 in the Universal Declaration of Human Rights was the ability to change one’s religion. Yet apostasy – converting from Islam – remains a capital offense in various countries including: Afghanistan; Brunei; Mauritania; Qatar; Saudi Arabia; Sudan; United Arab Emirates; and Yemen. So how did the outgoing Secretary General of the United Nations choose to recognize the basic rights of people? He rewarded one of those countries with a “humanitarian” post. Imagine that a country that flagrantly defies the basic premise of human rights is awarded with a position by the same United Nations. It underscores the current farce of the United Nations and its embarrassment to humanity. The Holocaust of the Jews in Europe was one of the most brutal acts of inhumanity in the history of the world. Not only did an elected government murder its own defenseless citizens, it tortured them and enlisted other citizens to eradicate and humiliate the Jews. The United Nations advanced the position that actions do not live in a tight bubble. Words lead to actions, whether discrimination, terrorism, or even the Holocaust. There have been many people who worked to place a spotlight in the shadow of the Holocaust, such as Simon Weisenthal (1908-2005), who fought to bring Nazis to justice. Elie Wiesel, who passed away yesterday, had a different path for combatting the horrors of the Holocaust. He wrote about it. 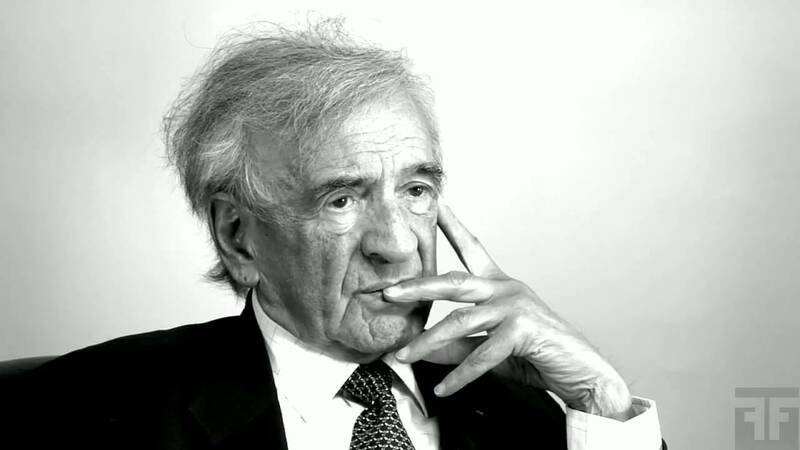 Over the course of dozens of books, Wiesel wrote about his personal experiences surviving concentration camps, as well as faith, God and humanity. He understood the power of his words to help create a better world, just as he understood and experienced how words can create a vicious, violent reality. Wiesel often spoke at conferences about his experiences, and sought to educate people about words, thoughts and ideas. He believed that words could be creative agents for the speaker, as well as for those who heard the message. “Gratitude is a word that I cherish. Wiesel believed in the power of words to heal, but he also understood its destructive powers. He felt that too often mankind hid from its responsibilities. “Human beings should be held accountable. One of the greatest threats to humanity, according to Wiesel, was not just the negative incitement to violence that the United Nations addressed in 1948 and 2006, but the threat of the vast masses who say nothing; who are indifferent to the words and terrible actions of evil doers. Indifference, then, is not only a sin, it is a punishment. 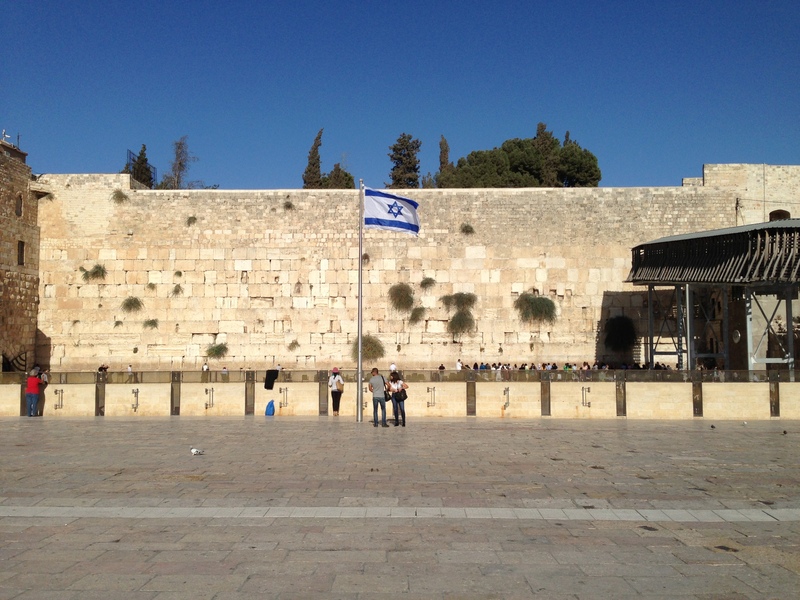 The First.One.Through blog and channel are about Judaism, Israel and the United States of America. The messages it conveys are that words matter: not just blatant incitement to violence, but even subtle forms of discrimination, as well as positive, constructive words. The words and videos are not made so that the producer has a voice, but for those that read and watch the material, to be positive catalysts by forwarding the anonymous pieces on to others. We mourn the loss of Elie Wiesel, an advocate who advanced the cause that words matter, whether negative, positive, or the bitter lack thereof. In honor of the International Holocaust Remembrance Day on January 27, Israeli Prime Minister Benjamin Netanyahu made a declaration that the “Nakba was a terrible tragedy for the Palestinian Arabs.” The New York Times, BBC and various media outlets proclaimed in their headlines that Netanyahu had turned a corner from some of his prior comments belittling the “Nakba,” the term that Arabs use to describe their “disaster” when Arabs left their homes and were unable to return after the Arab-Israeli War of 1948-9. The comments acknowledging the Nakba were a sharp reversal from Netanyahu’s doctoral study in which he detailed many questions surrounding both the numbers and source of the Nakba. 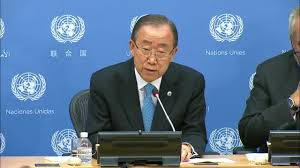 His study concluded that the Arabs in Palestine conspired with the major global parties to funnel billions of dollars in perpetuity to Palestinian Arabs via the United Nations. Netanyahu’s thesis reviewed the many secret meetings between Arab leaders and the French, British, Americans and Russians that would set the Arabs as the aggrieved party by the UN. The Arab plan pushed the UN to endorse the partition plan of 1947, which the Palestinians would then publicly reject. The UN would then create a unique stand-alone agency, UNRWA, designed to exist forever, as a means of transferring billions of dollars to Palestinian Arabs. As part of the Arab plan, the United Nations inflated the number of Arab refugees from the 1948 war to 711,000 from the actual 100,000 figure. By inflating the number of refugees, the UN was able to funnel even greater sums of money to Palestinians. The Arab plan had the further benefit of giving the entire Arab world a scapegoat for their corrupt regimes. As it turned out, the joint Arab- global powers’ plan worked almost perfectly, aside from a few unexpected results. The UN did not realize that the Arab leadership would ultimately double-cross the UN and steal most of the funds promised to the Palestinian people; and the corrupt financial structure ultimately made Palestinian Arab leadership completely incapable of governing. 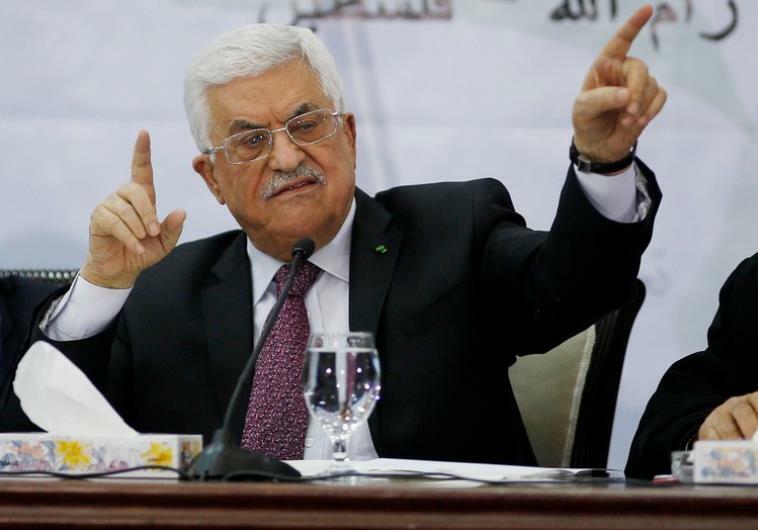 Abbas did not provide any statement. The Holocaust movie “Son of Saul” is unlike every other movie ever made in the genre. While much has and will be written about the narrow focus on the principal actor’s face throughout the movie, words cannot properly convey the impact of the sounds infused in each scene. The movie opens with the camera focused on a faraway subject, completely out-of-focus. The viewer struggles to make out the distant activity, and in a short time realizes that this is intentional, when the main protagonist of the film, Saul Ausländer, slowly walks into the middle of the image in sharp focus. He remains centered there for the remainder of the movie. The close-up of Saul leaves the movie viewer with a sliver of background imagery. The war is mostly inferred by the rapidly passing images on the screen’s edges. The viewer’s mind is left to expand upon the brutality of the concentration camp where Saul works processing the dead for the Nazis. The picture is further clouded by Saul. His face, which fills 70% of the frame, is expressionless. He is a walking dead, somewhere between the prisoners that arrive by train at the camp, and those “pieces” that he carts to the crematoria for burning. Saul shares no emotion and offers little in the way of dialogue with the other Sonderkommandos, those Jews tasked with helping the Nazis annihilate the Jews of Europe. The little dialogue that occurs, is choppy as the Sonerkommandos come from a variety of countries – Hungary, Poland, Germany, Ukraine – and do not speak the same language. Devoid of strong visuals and dialogue, the movie provides rich sounds. There is no background music to direct our emotions. The sounds are of the camp itself that fill the viewers’ ears. Sounds of babies crying. Mother’s screaming. Gun shots. Metal doors crashing closed. Rocks crunching under the feet of the Sonderkommandos. Papers scraping the floor, gathered for burning. This is the dialogue of “Son of Saul.” These sounds transport the viewer from a modern movie theater to 1944 Nazi Europe. It is not surround sound; it is transportive sound. Saul’s journey to an awakening begins when he sees a boy survive the gas chambers. While terminal, the child won a minor victory over the Nazis’ efficient killing machine. He beat the system. This boy gives Saul some depth of vision. He gives Saul hope – not of his own survival – but that the humanity of the natural world can break through into the unnatural brutality where he exists. Saul’s mission is set, that with the help of a rabbi, the boy will not be incinerated like everyone else in the Nazi’s ovens, but will have a proper Jewish burial. Saul risks his own life and those around him to fulfill this mission. He understands that he and the other Sonderkommandos are the unnatural walking dead who will soon die and be incinerated. However, the boy is nature’s dead, who must have a natural burial. As Saul manages to get the boy, his “son”, out of the concentration camp ground, he loses the body in a river. The body is taken by nature and cleansed in water. Then, without the boy’s body, Saul’s mission and hope disappear and he almost drowns before being saved by another prisoner. Saul sits with fellow Sonderkommando in a broken shed, all catching their breaths. The dialogue between them remains almost non-existent. As they sit, a new sound slowly is introduced that seems out of place. The noise grows louder, but unclear. The viewer considers whether this is rain falling on the leaves of the trees in the forest. But the picture tells us that it is not raining. We see the men are damp, but it is from the swim across the river, not from raindrops. Slowly the viewer becomes aware that the sound is not raindrops, but the crackle of the fire from the crematoria ovens. The movie viewers witness Saul showing some expression at last, as the movie’s hero understands both his completed mission and fate: he helped his son escape to nature; his fate will be to burn with the other Sonderkommandos in the Nazi’s fire. In the unnatural world where he exists, fire extinguishes water. However, he achieved a moment of humanity, where the water was able to extinguish the Nazi fire. In December 2015, the Claims Conference put on a special showing of “Son of Saul” in New York City. 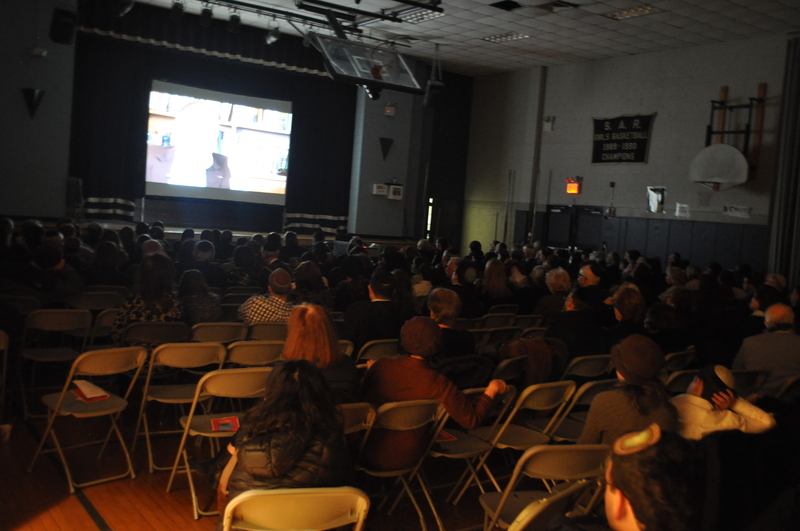 The Claims Conference obtains money from Germany and other countries that participated in the slaughter of Jews during the Holocaust, and distributes that money to the Holocaust Survivors as well as educational projects like this movie. The Executive Chairman of the Claims Conference, Greg Schneider, interviewed the film’s star Géza Röhrig who played Saul Ausländer at the end of the screening. 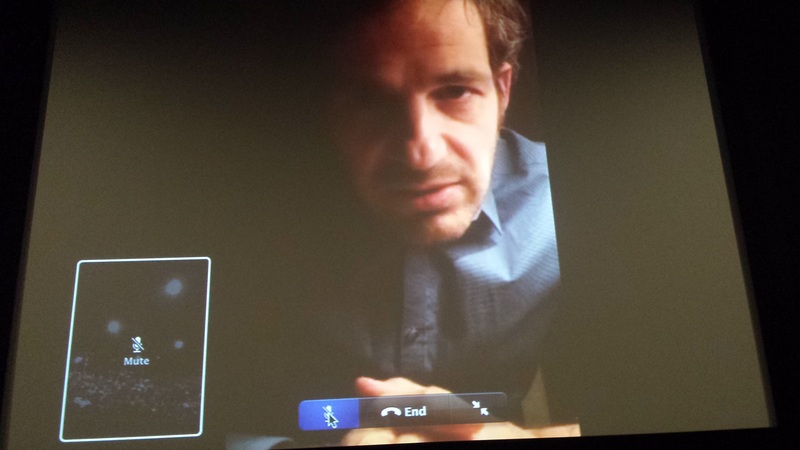 Via Skype, Géza relayed that the sound editing of the movie took over five months, involving hundreds of man-hours to create the environment the writers and directors sought to convey. It was a remarkable effort that helped create one of the great movies of our time. There are a number of English expressions in which people describe their inner feelings by describing their external appearances. For example, “Being comfortable in one’s skin” means exuding confidence and being content with one’s appearance. The expression “wearing one’s heart on one’s sleeve” dates back hundreds of years. It is meant to convey the openness of one’s emotions for the world to see. The inner feelings are plain and visible for review, scrutiny, appreciation and/ or scorn. What an individual decides to show to the outside world oftentimes says a lot about their personal beliefs and emotions. The way a society dresses people, also says much about such society’s beliefs. During the Holocaust, the Germans made certain undesirable people wear badges on their outer-garments so the people could be easily identified. Jews were forced to wear yellow stars. Gays wore pink triangles. Jehovah’s Witnesses had purple ones. These symbols were not chosen by the individual as an outward expression of their faith, but by an evil society that chose to mark people for abuse, imprisonment, torture and death. In the Auschwitz concentration camp complex, prisoners were tattooed by the Nazis beginning in autumn 1941. 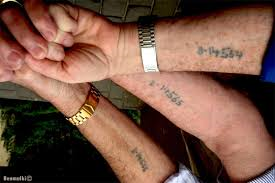 The numbering system etched into the arms of men, women and children, was used almost exclusively on Jews. The system allowed the Nazis to track and process hundreds of thousands of people who were not killed immediately. The ink relayed the cold reality that these prisoners were not in charge of their bodies anymore. Society no longer recognized their names nor humanity. The evil of Nazi Germany was not simply that they viewed the “Aryan race” as superior – they viewed others as less than human. The Nazis marked the clothing and bodies of those Untermensch to relay the Aryan perception of these sub-humans. 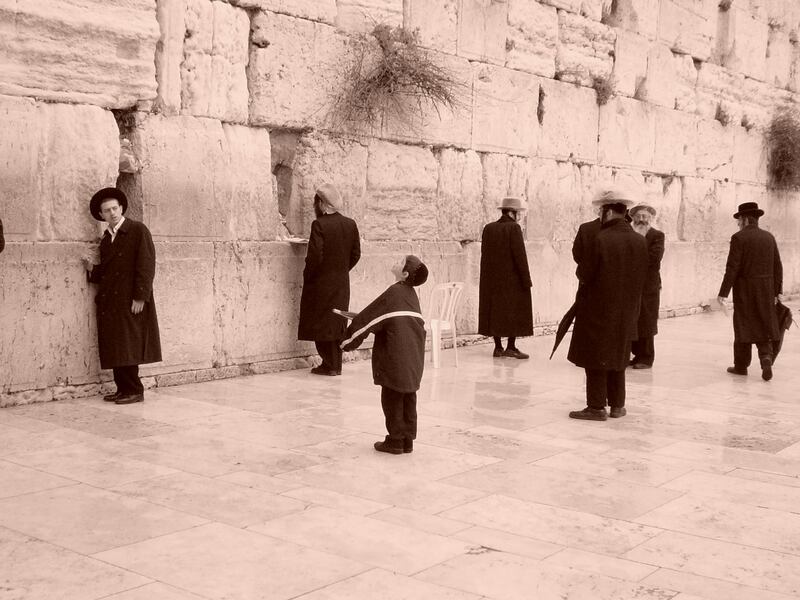 Jewish tradition is an important component of the Jewish religion. 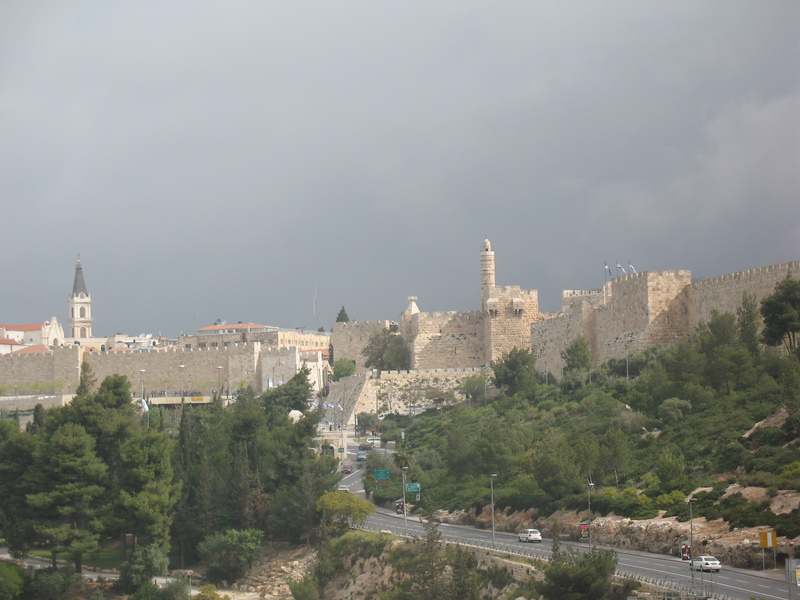 While there are specific laws in Judaism, such as wearing phylacteries/ tefillin, the manner in which some Judaic laws are carried out changes according to custom. 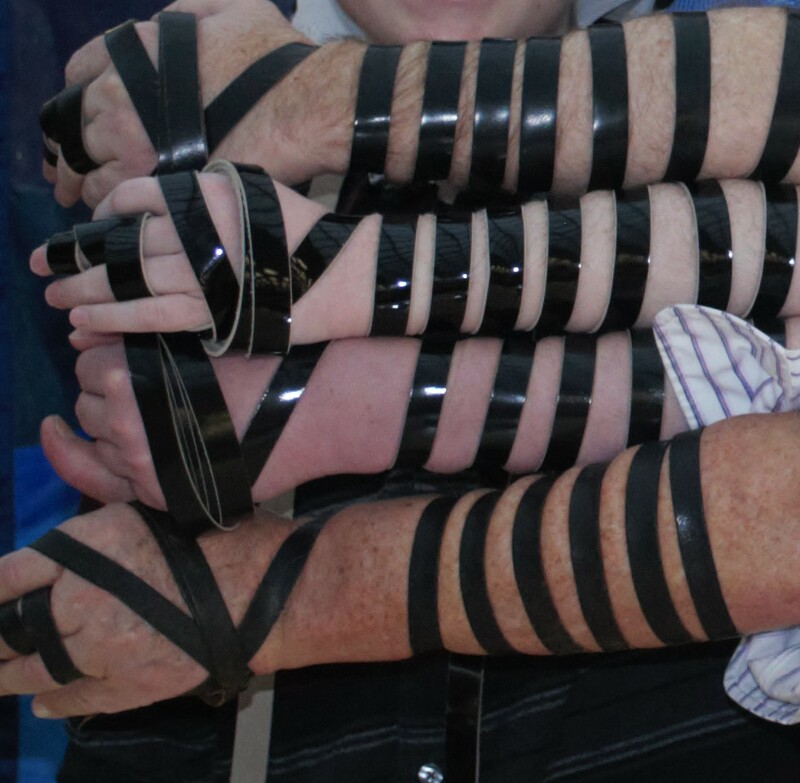 Some people wrap the tefillin around the arm in an outward motion, while others wrap them going towards the body. Some traditions have the entire name of God appearing on the hand while others only write a portion of the three letter name of God. When a person wraps the tefillin straps around the fingers, he recites a quote from Hosea 2:19-20: “V’erastich li l’olam; v’erastich li b’tzedek u-v’mishpat u-v’chesed u-v’rachamim; v’erastich li b’emunah; v’yadat et adonai. Just one generation ago, the dominant force in Europe labeled Jews and stole their humanity. Today, when Jews put on tefillin, they assert themselves and declare their connection to both God and family tradition. Regular NY Times contributor Roger Cohen suggested a pathway to peace between Israelis and Palestinians was that “Jews should study the Nakba. Arabs should study the Holocaust” trivializing the torture and killing of millions of innocent people with a conflict about land. Abbas repeatedly said that Israel is engaged in “a war of genocide” against Palestinians, in a deeply insulting distortion of both the conflict and the Holocaust. Palestinian leaders forbid Holocaust education in UNRWA schools in Gaza, counter to the United Nations wishes and curricula. The Palestinians are the most anti-Semitic people in the world, with almost every person (93%) holding negative feelings about Jews according to a May 2014 poll. By almost every measure, the Palestinians today are more extreme than Germans were in 1933, whether in passing laws that forbid Jews entry onto Palestinian college campuses; laws that prevent land sales to Jews; or the stated desire to have a country free of any Jews. Shouldn’t that be the main focus of the Times? Why does it perpetually give a pass to the vile anti-Semitism and trivialization of the Holocaust by the Palestinians, but immediately attack of Netanyahu? 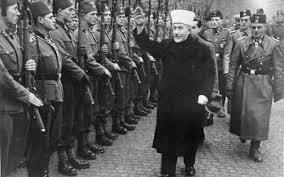 The Times stated that Netanyahu attempted “to distort history in order to draw a straight line between Mr. Husseini’s Nazi views and the current Palestinian leadership.” Netanyahu didn’t need to do that. Palestinians do that themselves. Palestinians with Nazis yesterday. 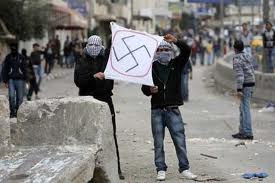 Palestinians acting like Nazis today. Summary: Just because we are free to do or say something, doesn’t mean we should. And the selection of what speech to admire or admonish is not hypocrisy, but a choice on philosophy. Many people have taken very hard positions regarding the recent killings at a “Muhammad Art Exhibit and Contest,” in Texas. In an effort to portray everything in black-and-white, they miss important distinctions. Murdering someone for being insulted is ALWAYS wrong. As discussed on these pages, “I’m Insulted; You’re Dead,” everyone should whole-heartedly condemn the killing of people because sensibilities were offended. Whether the attacks were at the Parisian offices of the magazine Charlie Hebdo, or at an event in Texas where people drew the Islamic prophet, no one should condone murder. Freedom of Speech is a CAUSE worthy of Defense. Freedom of speech and press are cornerstones of western democracies. They are basic and important causes to uphold. Specific language does NOT need to be defended. Just because someone has the right to say something, doesn’t require everyone to come to the defense of the content of any particular speech. An individual or organization that opts to distance itself from an event does not mean they are against free speech. Western societies are a mix of people and ideas. Such combinations create both civil and uncivil conversations. One can choose to be part of a completely civil society where nothing unpleasant is ever said, uncivil society in which people attack people all of the time, or more likely, a blend of the two, where different ideas are shared which may upset certain individuals at certain times. Civil society’s “safe spaces” are one’s home and organizations where people share common values. It is hard to imagine that one can walk in public and never hear or see something disagreeable. An inherent component of being part of the mixed society is to strike a balance of the use of free speech and society’s sensitivities. Just because someone has the right to say something, doesn’t mean that they should, and that everyone has to support the comment. The other half of that balance is that there is no requirement in society to be polite to everyone. Mosque at Ground Zero (2010): The United States offers freedom of religion (as well as speech and press) and as such, Muslims are free to build a mosque at any location where they legally have rights to the land. However, many people viewed the proposed building of a mosque overlooking the site where terrorists killed thousands of people in the name of Islam, as wrong and insulting. The New York Times editorial felt differently stating that it saw “the wisdom of going ahead with the project,” in an opinion that sided with Muslims but offended many people. Convent at Auschwitz (1989): Similar to the mosque at the base of the destroyed World Trade Center, the location of a Roman Catholic convent on the grounds of a notorious concentration camp where over a million Jews were killed simply because of their religion, was viewed as completely insensitive by many Jews. While the Times covered the news story in several articles, it conspicuously never offered its own opinion as to whether the convent should be moved. Metropolitan Opera on Klinghoffer (2014): When the streets of New York held civil protests about the Metropolitan Opera’s airing of a play that showed a sympathetic side of terrorists murdering an infirm elderly Jew, the New York Times rushed to the opera’s defense. The editorial page ran a headline that stated “The Death of Klinghoffer Must Go On”. It argued that it stood for art and free speech. Others claimed that it simply stood on the side of Palestinian terrorists. Charlie Hebdo (2015): The New York Times printed a series of editorials trying to find its position on the murder of journalists by Muslim terrorists. While it clearly stood by the rights of journalists to free press, it seemed to support such right because it lampooned all religions, and not just Islam. What is the summary of the observations of the New York Times? When it came to religion, the Times record was mixed, while showing a preference for Muslim sensitivities over Christians and Jews. Summary: As survivors of the Holocaust decline rapidly in numbers, the attacks on the veracity of the Holocaust, and on Jews and the Jewish State have begun to rapidly escalate. Survivors’ stories are not just reminders of evil actions, but serve as protection from evil ideas. Like the sun’s solar winds that beat back interstellar particles, we have approached the Termination Shock, where the sun’s influence is rapidly fading. Will evil ideas once again proliferate when survivors cannot speak? Holocaust denial began immediately after World War II. US General Dwight Eisenhower was keenly aware of the risk of deniers openly challenging historical facts and ordered the liberation armies to record the atrocities found at the concentration camps. Decades later, movie producer Steven Spielberg began to record the testimonies of Jews that survived the attempted extermination of the Jewish people to add personal histories of what transpired. But the movies of the camps and recorded testimonies are a step removed. 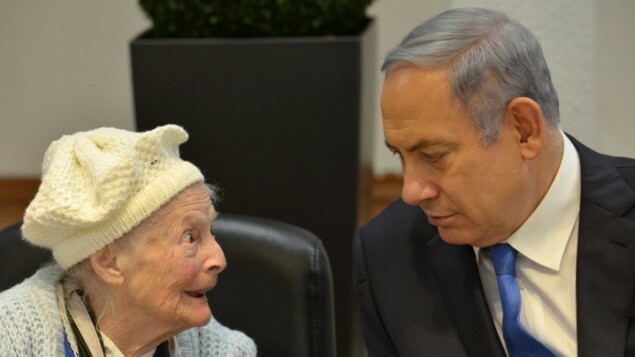 Ideally, one interacts with the survivors themselves to truly understand the evils and horrors of the Shoah. 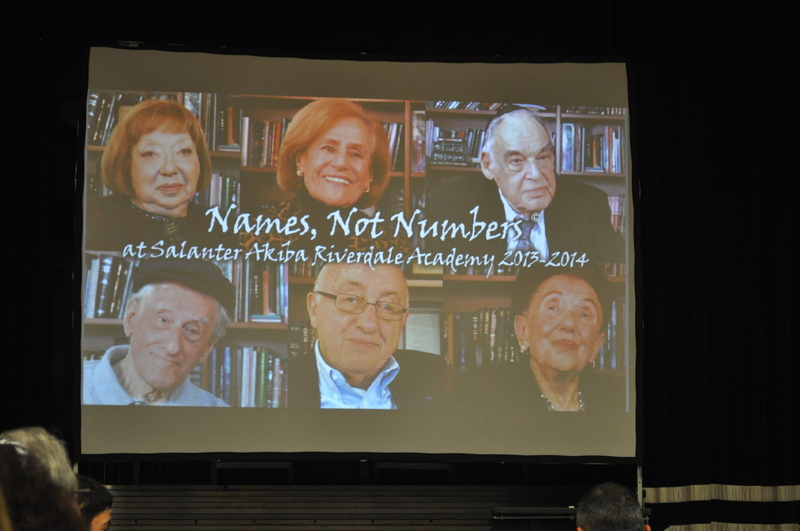 Many Jewish schools developed programs such as Names Not Numbers and Witness Theater to connect today’s youth with Holocaust survivors. The students interviewed survivors and helped retell their stories of life before, during and after World War II through film and theater. The programs were more than teaching moments for the children. The human interaction with the survivors became a bond with the past and a protection from potential risks in the future. Learning about world events from only history books can leave a distance from the topic. However, engaging directly to living history cements lessons into those children for their lifetimes. Those lessons are of life and death. One of the shocking things that students heard firsthand from survivors was how “normal” life was for Jews in Europe. In Germany and Austria, sophisticated societies had Jews among the elites including university professors, artists and financiers. Overall, life was decent before the Nazis came to power. While it may have once been convenient to think of German society as primitive to harbor such evil anti-Semitic feelings, Germans were highly educated. The history of Germany shows that hatred comes in all formats: primitive and sophisticated; rich and poor; from the powerful and the meek. Pure hatred stems from a conviction of complete superiority (Germans called Jews “Untermench“) coupled with the belief in the cause of completely controlling people. When a society with such sentiments attains power, atrocities follow. Education and employment are no shield, despite what the Obama administration says today. Echoes of the Holocaust have returned loudly today. The calls of “the Nazis were right” outside synagogues in Europe; the comparison of Israel to the Nazi state and Israeli PM Netanyahu to Hitler; the sale of Nazi-themed merchandise in large department stores; UN agencies calling out NGOs defending Israel as comparable to Nazis; mainstream US papers trivializing the Holocaust by comparing it to the Palestinian Nakba have become commonplace. Further aggravating the situation was the press’s refusal to label the incidents as antisemitc. Even US President Obama refused to call the killings in a Parisian kosher supermarket an attack against Jews. Attacks have become invisible in their motivation and assume the role of the new normal. A chorus that Jews and Israel consider themselves Ubermenchen that seek to control Palestinian Arabs, world banks and media have again gained appeal in a repeat of historic anti-Semitic trope. The inversion of victim-and-attacker gives rationale for assuming the role of attacker and attacking the victim. Right after the Holocaust, in December 1948, the United Nations developed the Universal Declaration of Human Rights, the UNDHR. Its goal was to serve as a bright red line declaring that every individual has basic rights that must be protected. Every Holocaust survivor that walked the planet was a symbol of this important declaration. Survivors are the beacons of the UNDHR. Holding a survivor’s hand is a reminder of their humanity. Hearing their histories is an opportunity to reflect on society. Retelling their stories is a means of incorporating the reality. Survivors are living defensive forces against evil run amok. Our world is not only reliant on the sun for light and warmth. Life on Earth would not exist without invisible shields of magnetic fields emanation from the Earth itself and solar winds from the sun. The solar wind deflects the interstellar ionized particles that continually bombard our solar system which would make life impossible. But those invisible forces only go so far. As they peter out, space itself becomes choppy and dangerous as the solar winds are compressed. The Termination Shock is that point where the protective barriers begin to give way to the hostile forces of the universe. As the number of Holocaust survivors dwindle, the important message they carry has begun to fade. The Termination Shock of Survivors is leaving their stories as lines in history books, which people can opt to read, ignore or doubt. The beacons are going dark and the universal message they carry is growing faint. Survivors are not only protection for Jews against the world. They are a reminder for everyone: for Jews about Jews and non-Jews; and for the world about Jews and non-Jews too. But the world is already growing deaf and blind. The calls for the eradication of people must not be allowed to stand. But they do. Iran’s call for the destruction of the US and Israel should be grounds for expulsion from the United Nations. Hamas’ call for the killing of Jews should be the immediate and automatic withdrawal of all UNRWA staff from the Gaza Strip. But they don’t. It is no surprise that Hamas refuses to allow the teaching of the Holocaust in UNRWA schools or that the Iranian regime loudly denies the Holocaust. However, it is shocking that the world is getting ready to take the next backwards steps in annulling the UNDHR by empowering these very same entities. Thousands of survivors are yet alive, but the lessons of the Holocaust and the significance of the UNDHR is becoming localized to the handful that are already receptive to the message. Where will the world be when we pass the heliopause, and are no longer protected by the invisible power of the Survivors?